27 December 2011-The Philippine Embassy in Riyadh reported to the Department of Foreign Affairs that Ambassador Ezzedin Tago met with Organization of Islamic Cooperation (OIC) Secretary General Professor Ekmeleddin Ihsanoglu in Jeddah at the headquarters of the OIC on December 25. Consul General Uriel Norman Garibay of the Philippine Consulate in Jeddah joined the meeting. Ambassador Tago conveyed to Professor Ihsanoglu the appreciation of the Philippine Government and people for the decision of the OIC Secretary General to send an OIC needs-assessment humanitarian mission to the Philippines to assess the situation after tropical storm Sendong (Washi) hit the Philippines on December 16. During the meeting, Ambassador Tago briefed the Secretary General on the situation in north and central Mindanao in the aftermath of Sendong. In a press statement released on December 18 on the OIC website, Professor Ihsanoglu conveyed his sympathies and condolences to the Filipino people after learning about the natural disaster. 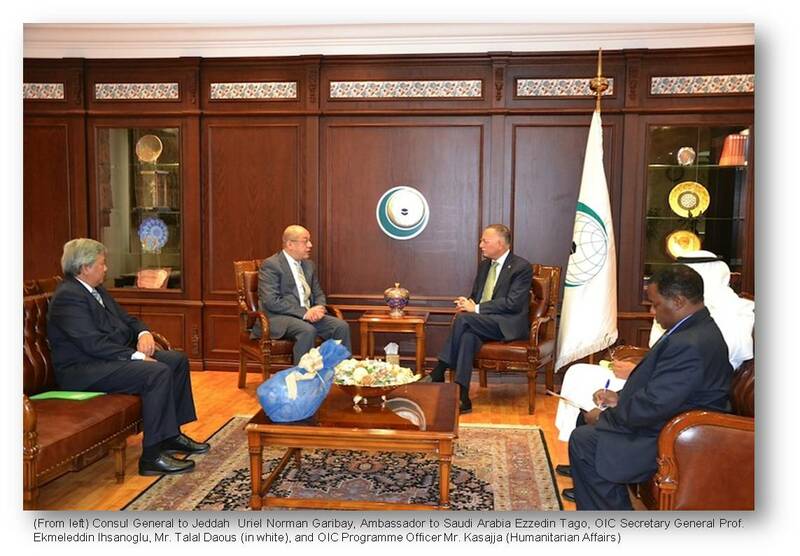 In a press statement released on December 24, the OIC Secretary General reiterated his appeal to the international community to provide more humanitarian aid to the Philippines. On December 24, Ambassador Tago and Consul General Garibay met with the OIC Assistant Secretary General for Humanitarian Affairs Ambassador Atta Manan Bakhit and members of the OIC Mission that was leaving for the Philippines, led by Director Fouad Al-Maznaee. The mission includes the Executive Director of the Islamic Solidarity Fund and an officer from the Islamic Development Bank. 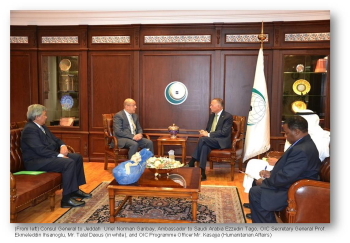 Ambassador Tago and Consul General Garibay briefed the OIC mission on the situation in the disaster-stricken area, and on urgent basic needs of the typhoon affected communities. The OIC officials stressed that the organization is interested in providing emergency assistance and rehabilitation and development for Mindanao. The needs assessment mission left for the Philippines in the early hours of December 25 and arrived in Cagayan de Oro on December 26. The OIC mission is set to meet with Philippine and international humanitarian agencies, including the executive director of the National Disaster Risk Reduction Management Council, Department of Social Welfare and Development, local officials and humanitarian agencies in the area.